Maybe this will move the kids from bottle flipping to a new way of interacting? SuperSuit promises to add modern tech play and get our iPad couch potatoes to venture out. 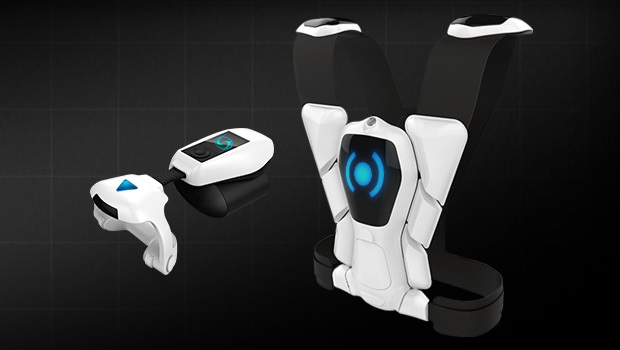 Introducing the World’s First Wearable Game, SuperSuit launched a few weeks ago on Indiegogo. Players can act like stormtroopers, zapping, and invoking super powers. SuperSuit comes in the form of a bundle that includes a vest, interactive glove and removable bot, bring in gaming into the real world. On their Indiegogo page, they are offering a two-pack to get you started. The platform fills the gap left by virtual and augmented reality games, getting kids and people of all ages moving, away from screens, and engaged with others. After a successful debut at CES 2016, SuperSuit has been listed as one of the year’s coolest gear by WIRED and one of the coolest gadgets for Generation Z by Mashable. We went on the road to interview Rajat Dhariwal, Founder and CEO of SuperSuit, a startup based in San Jose's Founders Floor.